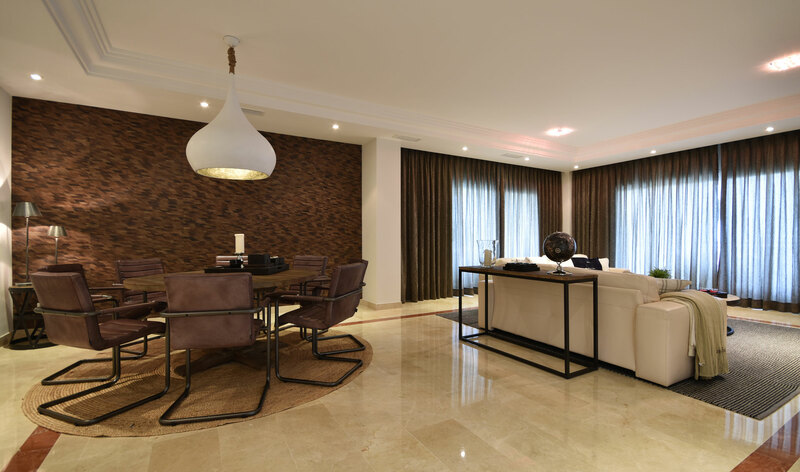 SPECTACULAR PENTHOUSE IN THE PRESTIGIOUS LA CORNICHE, MARBELLA. 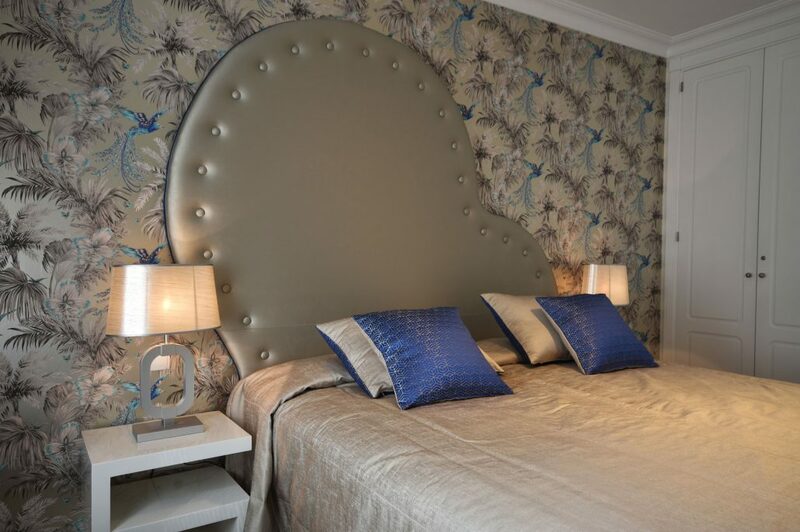 Our client wanted to upgrade the house with part of the furniture in this decoration, and then we took the opportunity to create completely different environments with new wall painting, wallpapers and curtains. 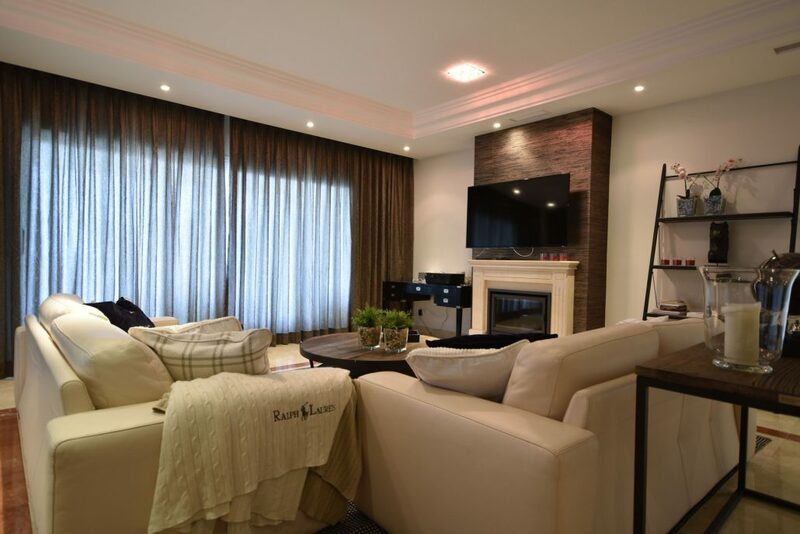 In keeping with the style of furniture for the room we proposed natural materials like raffia to apply in the area of the fireplace and dining room wall, which blends well with wood and iron furniture. Playing with the amplitude of the living room and the large lighting that becomes from the windows the best proposal for curtains is a grid curtain in dark color. 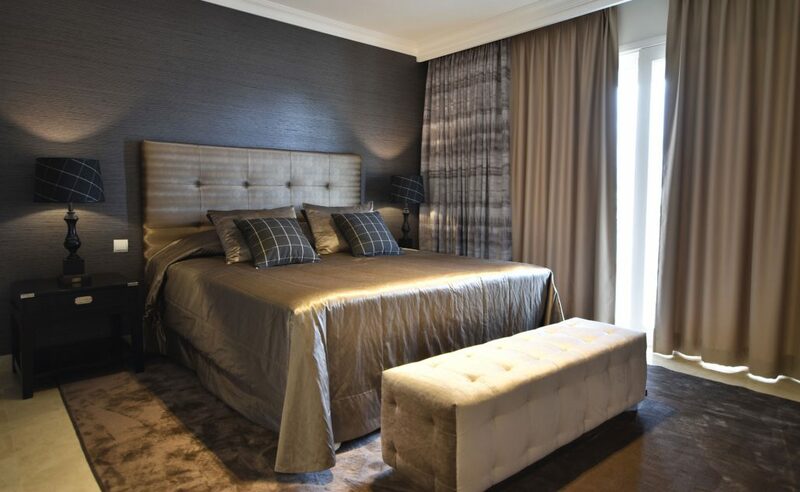 For main bedroom, neutral and natural tones protagonists, curtains with stone effect, darker wall paper to highlight the importance of the room, silk fabric for the quilter bed cover that reflects the light it receives. The second and third room are for little princesses of the house, each with its protagonist favorite color. The dramatic wall paper from Matthew Williamson distributed by Osborne & Little, bathes the entire room with special light. 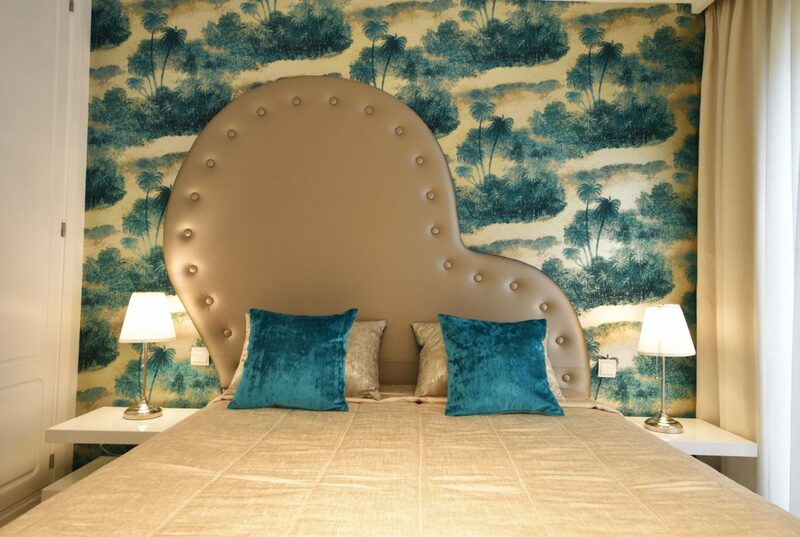 Headboard with heart form and piping in contrast with matching tones of wall paper. As a room for a princess who likes blue color, we put these two graceful puff for her. Third room for the other little princess, she wanted the same headboard with the heart form, but with the difference that this time the piping is in turquoise color matching with the wall paper. Beautiful wall paper from Matthew Williamson inspired by the Caribbean that gives us freshness and a wonderful turquoise protagonist.